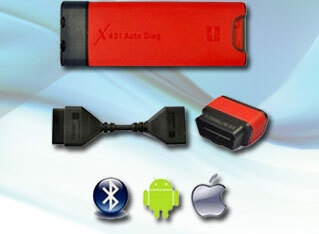 Data loggers are designed to capture vehicle data while the vehicle is in normal operation, for later analysis. Engine and vehicle monitoring under normal operation, for the purpose of diagnosis or tuning. Monitoring of driver behaviour by fleet vehicle operators. Analysis of vehicle black box data may be performed on a periodic basis, automatically transmitted wirelessly to a third party or retrieved for forensic analysis after an event such as an accident, traffic infringement or mechanical fault. In the United States, many states now use OBD-II testing instead of tailpipe testing in OBD-II compliant vehicles (1996 and newer). 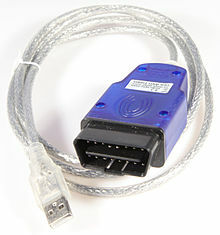 Since OBD-II stores trouble codes for emissions equipment, the testing computer can query the vehicle’s onboard computer and verify there are no emission related trouble codes and that the vehicle is in compliance with emission standards for the model year it was manufactured. In the Netherlands, 2006 and later vehicles get a yearly EOBD emission check. Driver’s supplementary vehicle instrumentation is instrumentation installed in a vehicle in addition to that provided by the vehicle manufacturer and intended for display to the driver during normal operation. This is opposed to scanners used primarily for active fault diagnosis, tuning, or hidden data logging. Auto enthusiasts have traditionally installed additional gauges such as manifold vacuum, battery current etc. The OBD standard interface has enabled a new generation of enthusiast instrumentation accessing the full range of vehicle data used for diagnostics, and derived data such as instantaneous fuel economy. Instrumentation may take the form of dedicated trip computers, carputer or interfaces to PDAs, smartphones, or a Garmin navigation unit. As a carputer is essentially a PC, the same software could be loaded as for PC-based scan tools and vice-versa, so the distinction is only in the reason for use of the software. 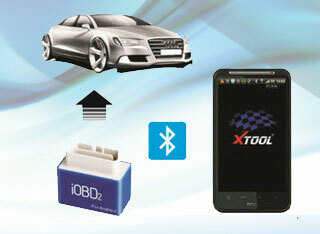 Various tools are available that plug into the OBD connector to access OBD functions. These range from simple generic consumer level tools to highly sophisticated OEM dealership tools to vehicle telematic devices. A range of rugged hand-held scan tools is available. Simple fault code readers/reset tools are mostly aimed at the consumer level. Mobile device applications allow mobile devices such as cell phones and tablets to display and manipulate the OBD-II data accessed via USB adaptor cables or bluetooth adapters plugged into the car’s OBD II connector. 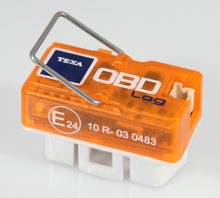 A PC-based OBD analysis tool that converts the OBD-II signals to serial data (USB or serial port) standard to PCs or Macs. The software then decodes the received data to a visual display. Many popular interfaces are based on the ELM or STN1110OBD Interpreter ICs, both of which read all five generic OBD-II protocols. Some adapters now use the J2534 API allowing them to access OBD-II Protocols for both cars and trucks. The extent that a PC tool may access manufacturer or vehicle-specific ECU diagnostics varies between software products as it does between hand-held scanners.